Many discussions of J. S. Mill's concept of liberty focus too narrowly on On Liberty and fail to acknowledge that his treatment of related issues elsewhere may modify its leading doctrines. Mill and Paternalism demonstrates how a contextual reading suggests that in Principles of Political Economy, and also his writings on Ireland, India and on domestic issues like land reform, Mill proposed a substantially more interventionist account of the state than On Liberty seems to imply. This helps to explain Mill's sympathies for socialism after 1848, as well as his Malthusianism and feminism, which, in conjunction with Harriet Taylor's views, are central to his later discussions of the family and marriage. Feminism, indeed, is shown to provide the answer to the problem which most agitated Mill, overpopulation. 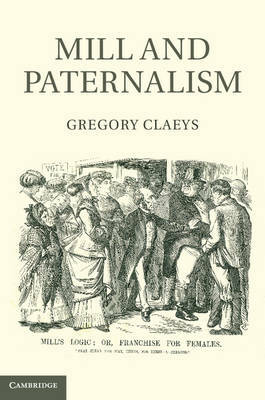 Thus Gregory Claeys sheds new lights on many of Mill's overarching preoccupations, including the theory of liberty at the heart of On Liberty.